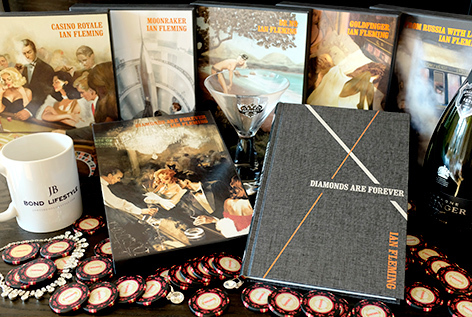 This title in the 007 collectors’ series, the luxurious Diamonds Are Forever edition, features once again original illustrations and a pictorial slipcase by acclaimed illustrator Fay Dalton. With the tantalizing combination of Vegas, Bond and Tiffany Case, fans of The Folio Society’s Ian Fleming’s Bond series will no doubt be excited to see what series illustrator Fay Dalton has created for Diamonds Are Forever – and they won’t be disappointed. This is the sixth volume in the The Folio Society Bond collection, featuring the distinctive and stylish binding design inspired by the secret agent’s impeccable suits, and a stunning illustrated slipcase. 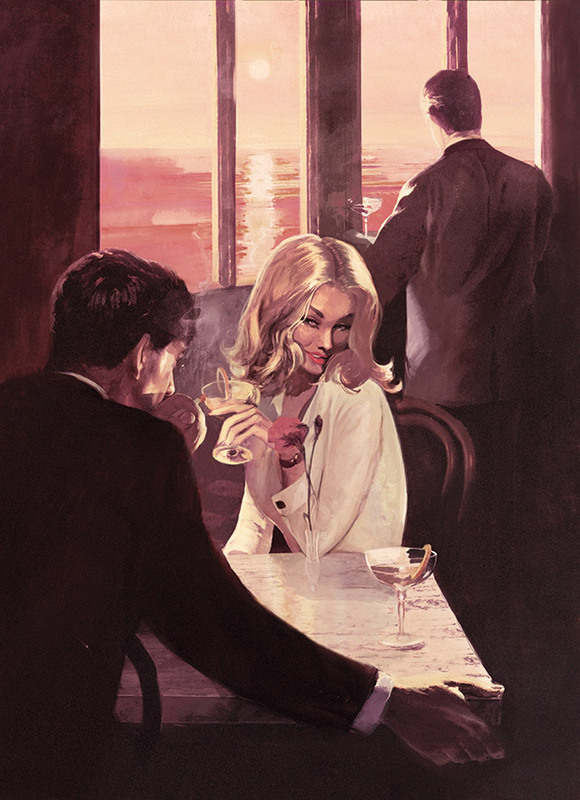 This was Fleming’s fourth book in the Bond series, where America is the backdrop for the adventures taking the reader from the simmering, sulphurous mud baths of Saratoga to the ‘ghastly glitter’ of Las Vegas. It is in the gambling dens of ’50s Vegas – a world of glamour and gangsters – that we see Bond in his element, sizing up the roulette wheel and casually taking the house for everything it’s got. 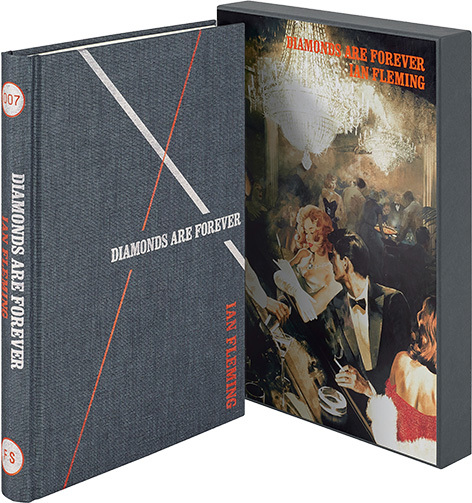 The only Bond novel not to have roots in the Cold War, Fleming makes certain that Diamonds are Forever has more than its share of larger than life villains and set pieces. Writing to a friend, Fleming commented with typical humour that for this novel he had included ‘every single method of escape and every variety of suspenseful action that I had omitted from my previous books – in fact everything except the kitchen sink, and if you can think up a good plot involving kitchen sinks, please send it along speedily’. Earlier titles in this series are Casino Royale, From Russia With Love, Dr No, Moonraker and Goldfinger.